Companies from Ho Chi Minh City are pushing into the Hanoi market, but the move is not without its difficulties: transportation costs, high office rents, competition from Chinese imports and different consumption habits. Just ten years ago, HCMC products accounted for a very modest share in the Hanoi market, but hundreds of the city’s businesses have become well known in the capital over the last few years. Popular HCMC-based supermarket chain Saigon Co.op opened its first Hanoi outlet on April 28. On opening day, the supermarket saw sales worth VND3 billion, of which food items accounted for over 70 percent. Bui Hanh Thu, deputy general director of Saigon Co.op, said the chain now had 43 outlets across the country, all of which are doing good business. “However, we were worried about the opening of the outlet in Hanoi, because we didn’t know much about Hanoi’s consumer tastes,” she said. 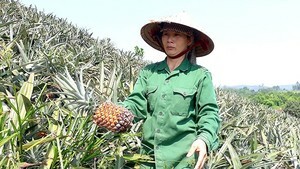 The chain focuses on bringing several southern specialties to the north: durians, milk paper cakes, mangos, dragon fruit, mangosteens, coconut candy and grapefruit. Thu “sighed in relief” after the good first day of sales. Before Saigon Co.op, many of HCMC’s leading brand names, including Nino Max, Foci, Viet Tien, Biti’s, Nha Be, had been introduced to Hanoi consumers. However, the presence of a Saigon Co.op supermarket in the capital has enabled other businesses that don’t have the means to establish themselves directly in Hanoi to still sell products there. Such companies include well-known brands like Cau Tre, APT, Safooco, Viet Thy, Thang Loi, Paltal and Tan Phu. Saigon Co.op said its own Co.op-brand products in Hanoi 5-7 percent cheaper than other branded goods. It also expects to open more new outlets in the northern provinces of Bac Ninh, Quang Ninh, Nam Dinh and Hai Phong. 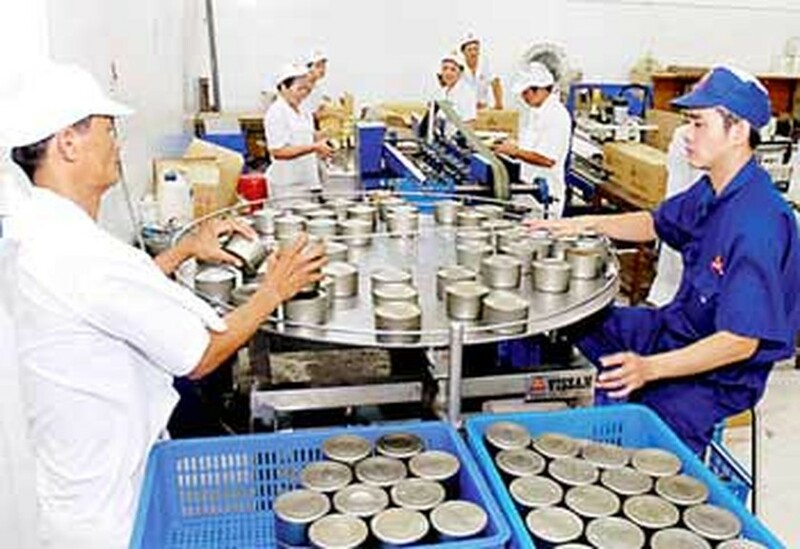 Another success story is Vissan, a famous food company in HCMC, which penetrated the northern market in 1997. After a hard time of fierce competition and adjusting for the difference in taste between Northern and Southern consumers, the company now has a firm foothold for their processed food products in some provinces and cities in the North, including Hanoi. Leading garment brand Biti’s said the competition against imported products, especially cheap Chinese ones, was the biggest challenge the company had to overcome to stand their ground in the Northern market. The Northern market is very promising, but if Southern companies don’t actually process their products in the north, they’ll lack a competitive edge to transport costs, said southern companies that have expanded there. Fifty percent of the 30,000 commodities for sale at the Saigon Co.op in Hanoi have been carried from HCMC by train or truck. And many of the staff members at the supermarket are from HCMC. The office rents in Northern provinces are also higher than that in the South, said Nguyen Thi Tranh, general director of the Saigon Co.op Investment Development JSC. She said the cost of operating a supermarket in Hanoi is 1.5 time higher than in HCMC. Southern businesses successful in the Northern market said firms aiming to expand there needed to set up distribution channels and organize promotional programs to establish a sustainable foothold on the market.